Attention pizza lovers! 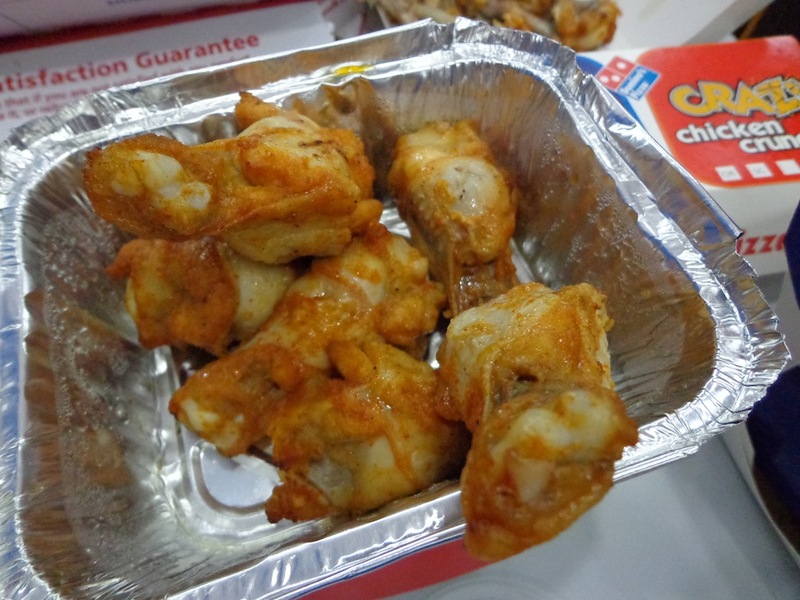 Be in for a real treat, Domino’s Pizza is offering mega 50% off through this one of a kind online promotion with exclusive bloggers. I did a check and this promotion is even better than their current promotion which offers two large pizza for $33 and 2 xtra large pizza for $44. What’s more you can have a choice to order only one regular/large/xtra large instead of two. 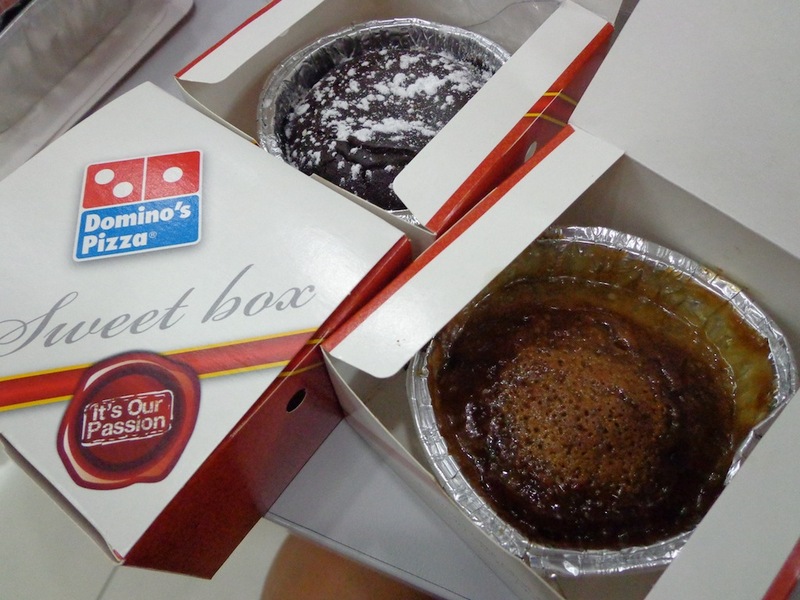 To enjoy this offer, go to Domino’s Pizza website www.dominos.com.sg, go to the QUICK ORDER / ORDER NOW button and log in. 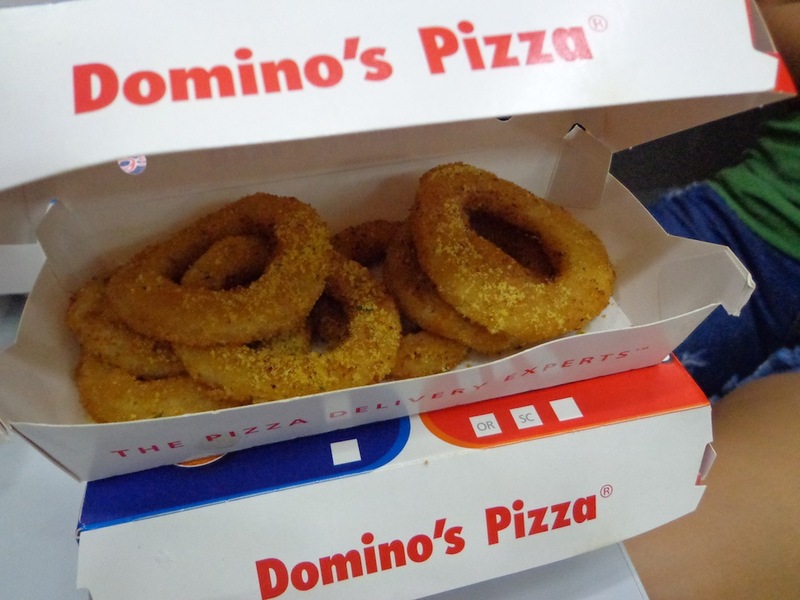 Domino’s Pizza is Halal certified and offers free delivery around Singapore. They have a 30-minute delivery guarantee and 15-minute take-away guarantee. And you can also track where your pizza is with their Great Pizza Service (GPS) Tracker system. 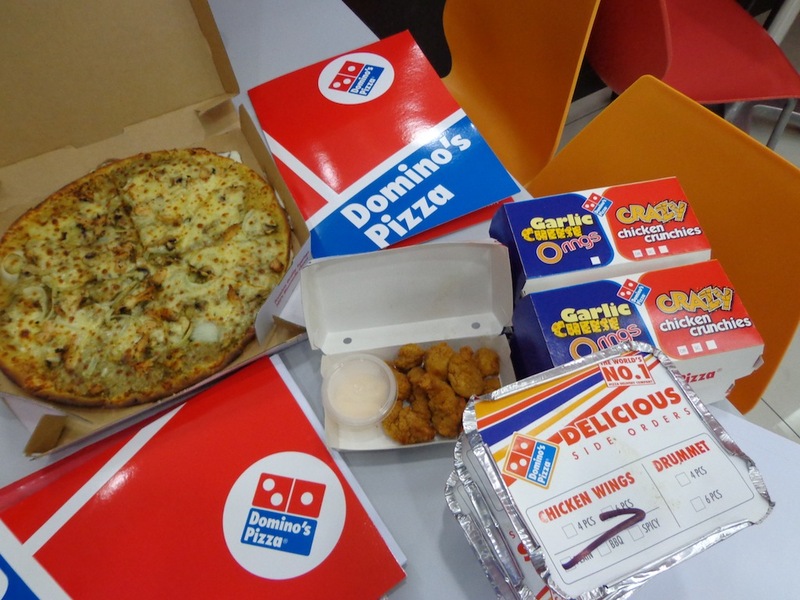 Please note that due to the current haze situation in Singapore, Domino’s Pizza is not offering delivery at the moment, but you can still enjoy the 50% off for take-away. Simply pre-order online and self-collect at the stall nearest to you. There are 14 outlets spread across the island. And they have just opened a new store at Woodlands. 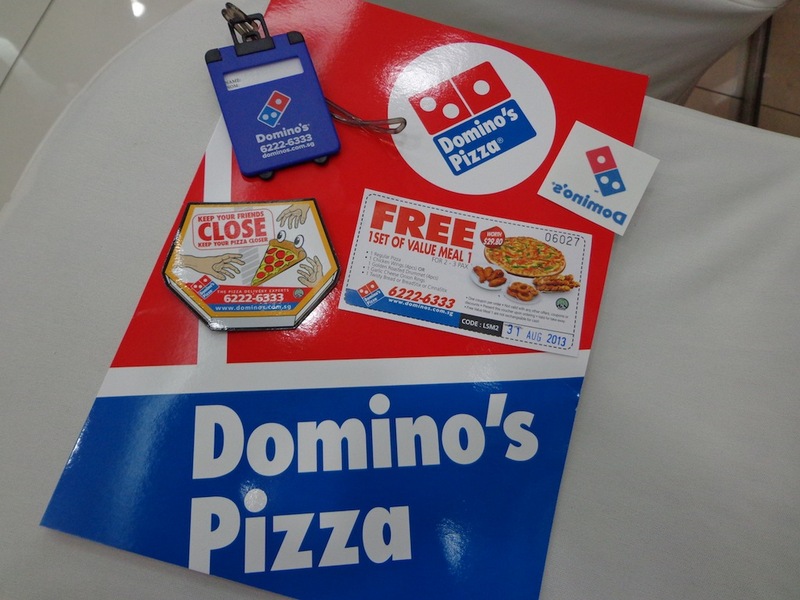 Get connected with Domino’s Pizza on Facebook and keep yourself updated with their latest products and services. If you are an iPhone user, go to the App Store and download the free Domino’s Pizza application; easy to use, order on the go and free up your time to enjoy the pizza. This exclusive offer is valid till 27 August 2013. 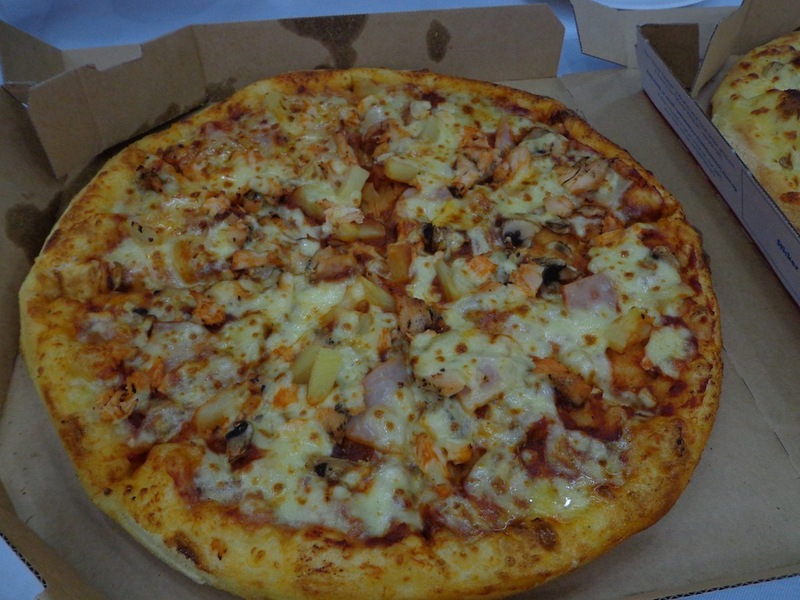 To enjoy this discount, remember to key in BLG91 when you order your pizzas from Domino’s! 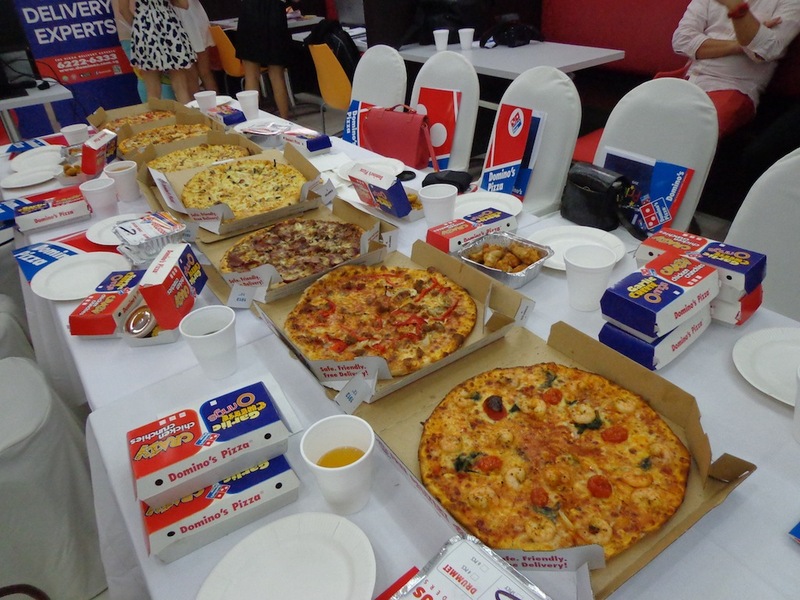 This entry was posted in Food, Preview and Launch, Singapore and tagged 15 min take away, 15 minutes take away, 2 for 22, 30 min pizza delivery, 30 minutes pizza delivery, after discount, bloggers exclusive, cheap pizza, coupon redemption, crazy pizza discount, crazy pizza sale, damien dominic wong, damien wong, domino deal, domino pizza, dominos deal, dominos pizza, food discount, food savings, free delivery, gps tracker, great pizza service tracker, halal certified, half price pizza, how to eat when hungry, how to save money, how to save on food, iphone app, kiehl, kiehl boy shaun, kiehl boys, kiehls, kiehls boy shaun, kiehls boy shaun owyeong, kiehls boys, mega pizza discount, mega pizza sale, missy tiffany, nas, nasri, pizza 50 per cent off, pizza 50% off, pizza chain, pizza delivery, pizza discount, pizza joint, redeem coupon, redeem coupons, save money, shaun owyeong, smith leong, smithankyou, tiffany wong, uncle teh peng, uncletehpeng, writinglikeastoner. Bookmark the permalink.